Mothers come in all shapes and sizes. One, for example, could be a strong ex-soldier, now stuck at a desk job with an unexpected egg from a little fling with a young guy. One could be a happy, energetic baker, adopting a lost human child even though it could bring about a second human war. And one could even be a terrifying, eternal dracolich, trying to figure out a new, less evil way of life for her and her constructed child. No matter what kind of mother, though, one thing is clear: in the dragon lands, motherhood is always an adventure. Vol. 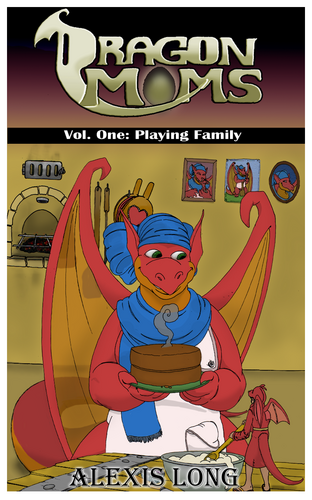 1: Playing Family collects the first three story arcs, up through entry 39, collected in both .mobi and .epub formats! It also contains a short story staring Gloria's son, Flare, not available on DragonMoms.com!